The VLJ Business Jet is one of the first of a new generation of small personal Very Light Jets designed to be operated by a single pilot. The aim is to bring business jet ownership and travel into a more affordable arena. The crew at CLS brings you this aviation first, first! Designed to their normal very high standards, the quality inside and out is amazing, with quality animations featured throughout and an extensively modelled instrument panel, virtual cockpit and cabin. 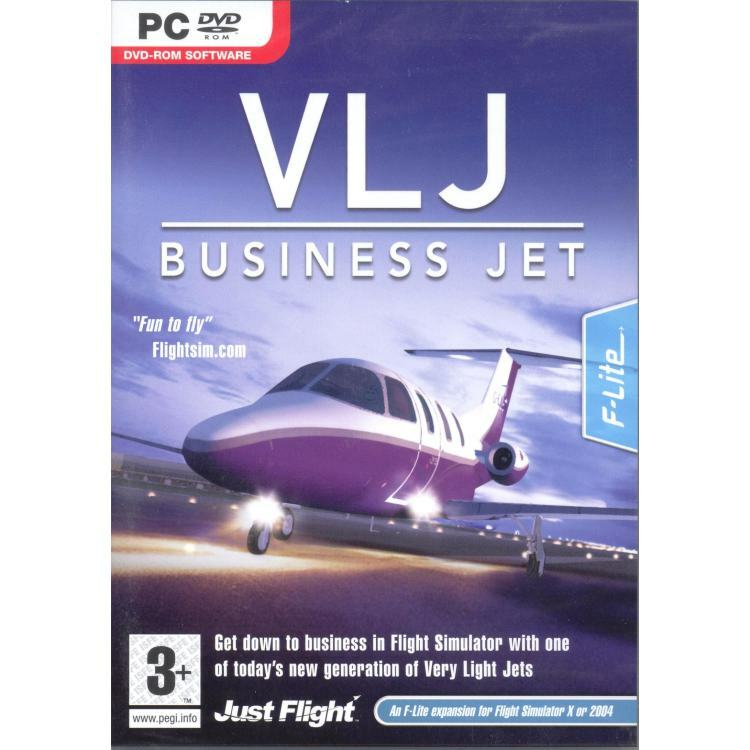 The VLJ Business Jet has a great set of cockpit systems, available in both 2D and 3D cockpit, so be one of the first to own your very own VLJ – Jump in and jet off! 3D pilots in exterior model which actually animate! Layered paint kit (requires Photoshop, a non-layered bmp version is also included). Pilot seats adjust to allow pilot seat position (VC only). Custom effects including smoke, burning tyre rubber, water splash. Operations manual with flight procedures and V speeds. Customised Avidyne style glass cockpit. Functional in both 2D and Virtual Cockpit views.